Gramercy Research Group helps to promote and support the implementation of Instant Recess®. 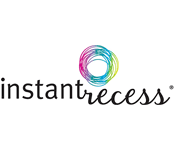 Instant Recess is an evidence-based program designed to improve the health and productivity of school-aged children. It helps teachers and administrators easily incorporate 10-minute, moderate-intensity exercise breaks into the regular school day. Brief bouts of exercise in the classroom setting may enhance children’s physical activity and fitness levels, improve on-task behavior and academic performance, decrease disruptiveness in the classroom, increase administrative support and sustain teacher adherence. This research is supported by funding from the UCLA Center to Eliminate Health Disparities. For more information on physical activity breaks, please visit www.instantrecess.com.